One of the top priorities within the European Action Plan for Turtle Dove is a call for emergency measures to provide more seed food for these birds on their breeding grounds. Guy Anderson of the RSPB, describes a quick and easy way this can be done. We have known for some time that shortage of suitable seed food has been a problem for Turtle Doves during the breeding season – associated with a shortened breeding season, fewer nesting attempts by adult birds, and fewer chicks produced by each pair each year, as a result. Solutions to tackle this have been researched and developed – plots or strips of suitable seed-bearing plants can be sown – fumitory, chickweed, medicks and vetches. These plants grow and produce the seed that the doves then feed on. If the soil type and existing seed banks are suitable, it might not be necessary to plant anything – natural regeneration might provide a suitable set of annual plants to produce the seed. 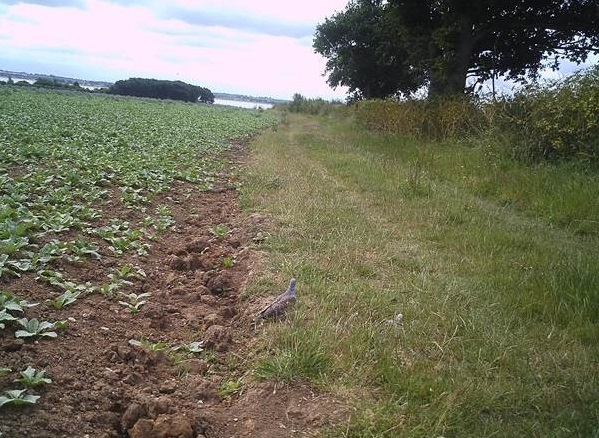 These are both options available under the English Countryside Stewardship scheme, and where located and managed correctly, they can be really effective for Turtle Doves. But such is the rate of decline of Turtle Doves in the UK, we need to consider other options to provide the necessary food. Putting out supplementary seed for Turtle Doves to eat directly is one. This could be especially valuable to doves early in their breeding season – late April to June – when many growing plants have not yet set seed, and food is in particularly short supply. Indeed, we already have research evidence that Turtle Doves are making more use of human-provided food – bird food and crop seeds – than they used to. The doves themselves are showing us the way here – we just need a method that is known to be effective and safe. Operation Turtle Dove has been testing a supplementary feeding method for two years – to make sure that we can find a way of providing seed food that is both effective – IE Turtle Doves find it and eat it – and that is safe – without encouraging pest species, or increasing the risk of disease transmission between birds. Results of these trials have been wholly positive, and we can now recommend what seed to use, how much to use, how often to put it out, where to put it, and how to keep an eye on a feeding site to make sure it’s working as intended. 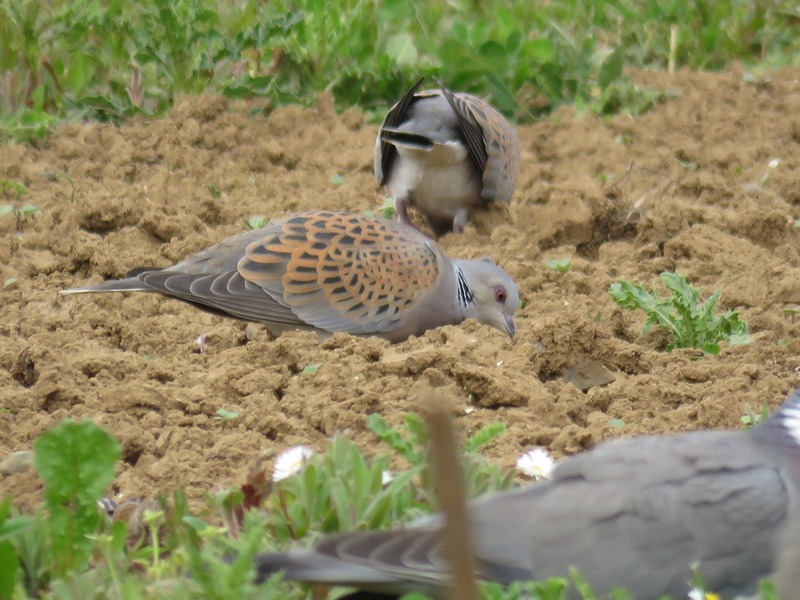 Detailed guidance and recommendations are available in the OTD Supplementary feeding protocol, and it’s certainly not too late to start feeding this spring, if you are lucky enough to be in an area which still has some Turtle Doves. It’s also not very expensive. We are already working with a good number of farmers and landowners in East Anglia and South-East England to get feeding sites set up this year. Encouragingly, some have already sent photos of Turtle Doves feeding on the supplementary seed. We know food supply is the number one problem for Turtle Doves here in the UK. Adding supplementary feeding to the solutions available should give us a better chance of stabilising – and then hopefully recovering – the population in the long term.